The Monroe L-Handle Quick Release Pins are manufactured in a variety of different styles and sizes in an effort to support any application. The main function of the release pins is to adjust or remove accessories on equipment. The styles offered by Monroe include T-Handle, L-Handle, Button Handle & Ring Handle. The standard pins are typically manufactured using stainless steel or carbon steel. Monroe is willing and able to quote any special variations above and beyond the standard offering. However, please be advised that volume restrictions may apply. 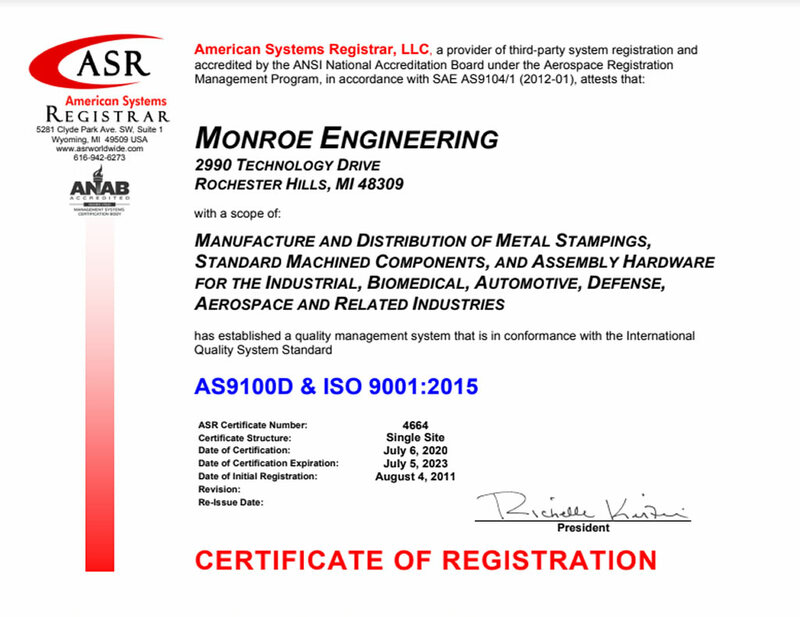 For all inquires and requests related to Monroe Quick Release Pins please contact a member of our sales team.